One of the most significant challenges that millions of people all over the world have to contend with on a day to day basis, the American Center for Disease Control and Prevention (the CDC) estimates that between 11% and 15% of all children between the ages of 4 and 17 have been diagnosed with ADHD – and that a significant amount more maybe living with ADHD in an undiagnosed condition. On top of that (and contrary to popular belief), ADHD is not a condition that kids “grow out of”. In fact, science now suggests that ADHD can become worse and worse as time goes on – crippling otherwise normal functioning adults and middling them with a handful of significant issues that could hinder their ability to lead happy and healthy lives. This is why it is so important to have children and adults go through the test for ADHD protocols that are already established as early as humanly possible. While there is certainly something to be said about the negative side of forcing children and adults to go through these testing protocols at the mere suggestion of ADHD (after all, some children and no small amount of adults are rather hyperactive and can be pretty “scatterbrained”), you may be taking a significant step towards improving their lives within early diagnosis. At the end of the day, ADHD diagnostic procedures for adults and children have come a long way in the last 15 years or so. We now understand this condition more thoroughly than we ever have before, and though there are certain the gaps in our understanding of ADHD and its impact on lives, we have protocols in place that can help people overcome these challenges. Read on to learn more about attention deficit disorder and the ADHD test protocols that are currently in place. What exactly is Attention Deficit Disorder, anyway? Attention deficit disorder (ADD) and attention deficit hyperactivity disorder (ADHD) are closely related to one another, and are medical conditions that have a tremendous impact on the lives that individuals lead all the way through childhood and up until their later years in life. Originally thought to be a condition that only children had to contend with, modern science and medicine now understands that nothing could be further from the truth. Adult ADHD is a very real (and some would suggest more serious) condition, but thankfully there are a number of protocols and examinations that exist to properly diagnose the problem and then move and individual through treatment. Both of these conditions are classified as mental disorders, though they do not present themselves in the traditional manner. Most of the time, these two conditions share similar symptoms (which we will outline in just a moment), and it’s difficult to diagnose these two conditions separately without proper medical training because of how similar they are. As you can see, these issues would clearly debilitate anyone that was looking to lead a normal, healthy, and well-adjusted lifestyle. Thankfully, in large part due to significant overhauls in the way that we diagnose and treat these mental illnesses, it’s now possible to move through intelligent testing protocols to help individuals combat the effects of ADD and ADHD. In fact, it is quite possible to overcome these challenges completely and lead a lifestyle that feels almost impossible when struggling with ADD/ADHD. What kinds of ADHD test protocols currently exist? There is no singular test that can definitively prove whether or not someone is struggling with ADD or ADHD, and it really requires the expertise of a medical professional that understands the challenges as well as the “lay of the land” of the ADD/ADHD community – and one that can interpret sometimes nebulous answers to make an appropriate diagnosis. Though most of the time of this disorder can be properly diagnosed with an ADHD test for kids or and ADHD test for teens to nip this condition in the bud, so to speak, it’s also possible to test adults later in life so that they can get the same kind of help they need to move forward with their lives. When these tests involve children, parents and guardians are going to play an integral role in the process and must be willing to participate actively. Most parents are going to have to be interviewed (sometimes independently, but most commonly together) did not only better understand the challenges that the child faces but also to better understand any and all genetic predispositions that may be causing these issues in the first place. Teenagers are also usually going to be tested with an active participation from their parents as well, though they may elect to move through the testing protocols more independently because of where they are along the developmental journey. Adults, obviously, will be in complete and total control of their ADHD test protocols – at least as much as can be possible – and will have to voluntarily submit to these testing protocols to achieve the kind of results that they are looking for. It’s critically important for adults looking to be tested for these conditions to bring any and all relevant medical information as well as any other bits and pieces of data that the doctors request. These foundational elements can help expedite the diagnosis process. It’s important to remember though that there is no such thing as a definitive ADHD or ADHD test for adults protocol – there is no “one size fits all” kind of exam to determine whether or not an individual is truly struggling with this kind of condition. Sure, modern science and medicine is getting better and better at properly diagnosing mental disorders of all shapes and sizes, but there is still much more that we do not know about the brain and how it functions compared to what we do understand. This does not invalidate these testing protocols, however. 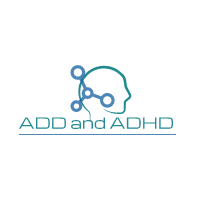 Thus far, they are our very best approach to determining whether or not an individual (man, woman, boy, or girl) is struggling with ADD or ADHD, and should be used as a baseline to determine the appropriate intervention protocol moving forward. The individuals or the organization administering the tests that are provided to determine this diagnosis are also key pieces of the puzzle, and you’ll want to be completely sure that you are moving forward with a professional or a professional organization that you know you’ll be able to trust. Remember that there are literally millions and millions of people that are currently struggling with both ADD and ADHD today, and that you are nowhere near alone. Science and medicine are focused intently on these mental disorders (almost others), and it isn’t inconceivable that we do have a breakthrough solution in the next 10 to 15 years that may completely eliminate these problems forever. Until then though we’ll have to make do with the solutions that we have available right now, and though solutions are only possible when you move through the necessary testing protocols. If you, or someone that you care deeply about, are dealing with what could potentially be ADD or ADHD symptoms, it’s important to reach out for any and all help that you can take advantage of. If there’s no reason to battle through this condition alone, especially when there are so many quality attention deficit disorder test protocols and help available today!